Telling it like it is: smart women take no crap. However, it also stirred interest from the fine folks at Westport Homes. 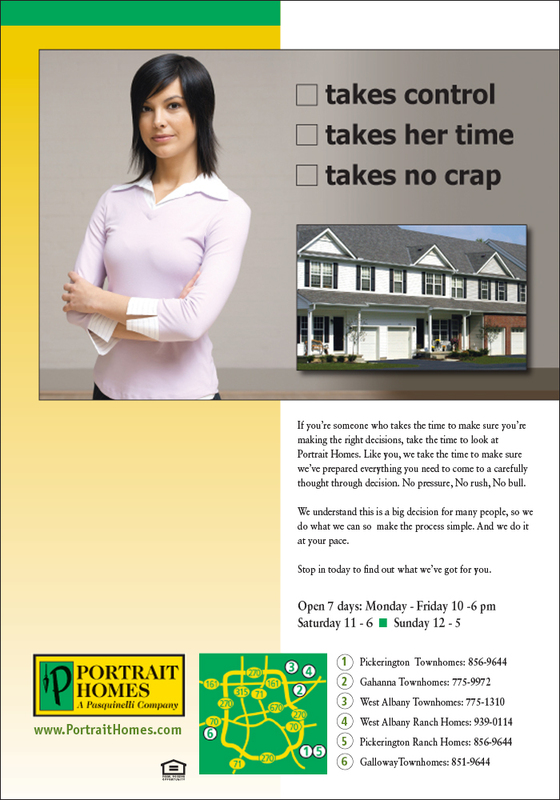 And due to this particular ad, it opened the door for us to another, non-competing home builder in Columbus. The approach, as you see, was to give credit where credit is due: to smart women who make the majority of buying decisions, even for new homes and condos. This type of Columbus marketing has worked well for the home builders we've worked with. And we've worked for a bunch of non-competing builders in this market, and can bring the same style of thinking to your markets.